I love a good margarita, traditional or funky flavors, it doesn’t matter. You can get really creative with not just your margarita flavors, but the salt rims too! In fact I created this Orange Black Pepper Margarita recipe with the salt rim in mind. I came across go lb. salt at the farmers market several years ago and their ingenious flavor combinations inspired me to branch out. The Sante Fe Rita rim-licks has organic cane sugar and sea salt flavored with lime and green chile. You really have to pair it with a drink that is both sweet and spicy! Don’t let the Black Peppercorn Simple Syrup intimidate you either. Simple syrups are very easy to make. You are able to really add a great level of uniqueness to your favorite drinks! Also please, please, please use fresh squeezed orange juice. I realize that sounds like a lot of work, but it’s sooo worth it! If you are in a rush or want to make a big batch of Orange Black Pepper Margaritas check out the fresh pressed juice section at your local natural grocery store. A lot of the time you can find juice that was squeezed that day, if not on the spot. I hope you like this Orange Black Pepper Margarita recipe as much as my crew does. 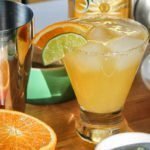 If you love this delicious margarita recipe, you can find more like it by checking out my Cocktail section! For recipe inspiration delivered to your inbox, subscribe to my newsletter, follow my photography journey on Instagram, and for generally inappropriate humor follow like me on Facebook! 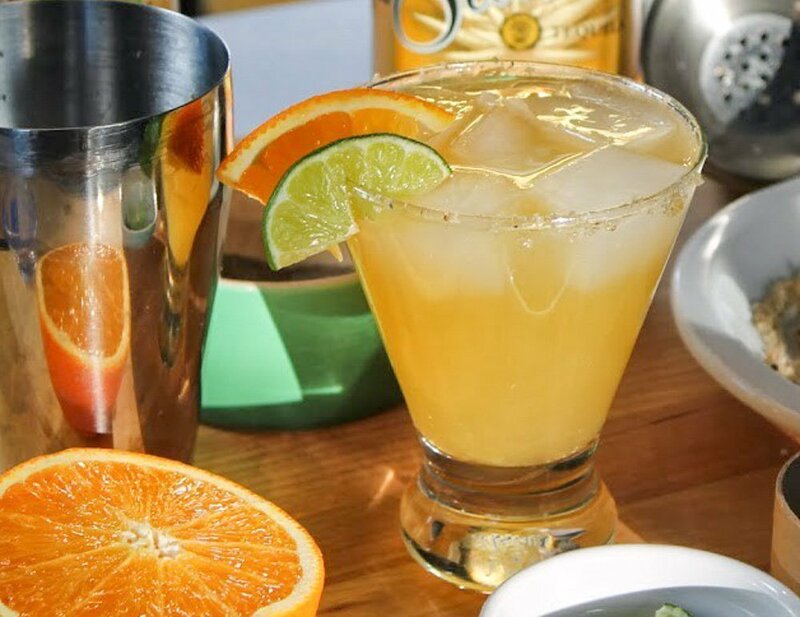 Give your next happy hour at home a walk on the wild-side when you sip on this Orange Black Pepper Margarita recipe made with fresh squeeze juice and a spicy homemade simple syrup! Run lime wedge around the rim of a cocktail or margarita glass; dip rim in salt to coat. Combine ingredients in a cocktail shaker with ice; shake thoroughly. Strain and serve over ice. Garnish with lime or orange wedge. Tip - If you are making a large batch of margaritas look for fresh squeezed juices at your local natural grocery. Many stores now have fresh pressed juices that are perfect in a pinch!